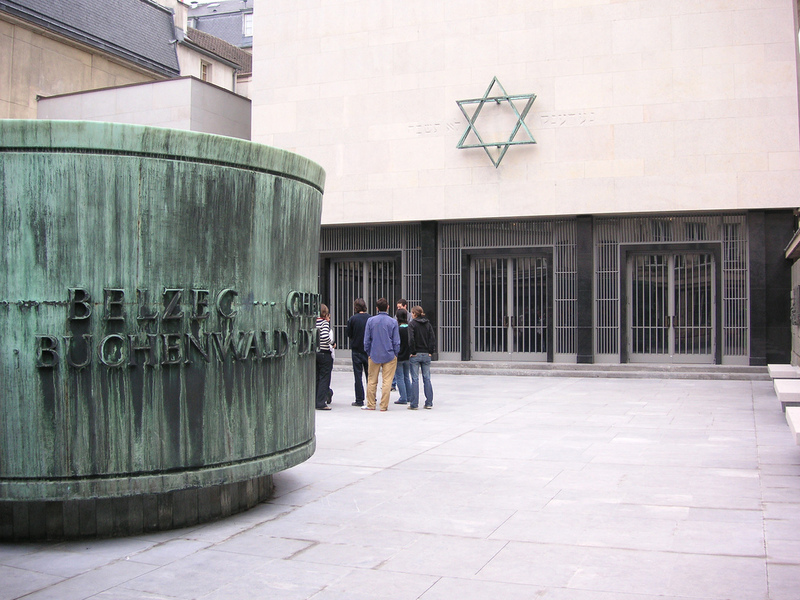 The Hollandsche Schouwburg (the Dutch Theatre) was a collecting point and deportation centre for Jews. The theatre was situated in the old Jewish quarter of Amsterdam. 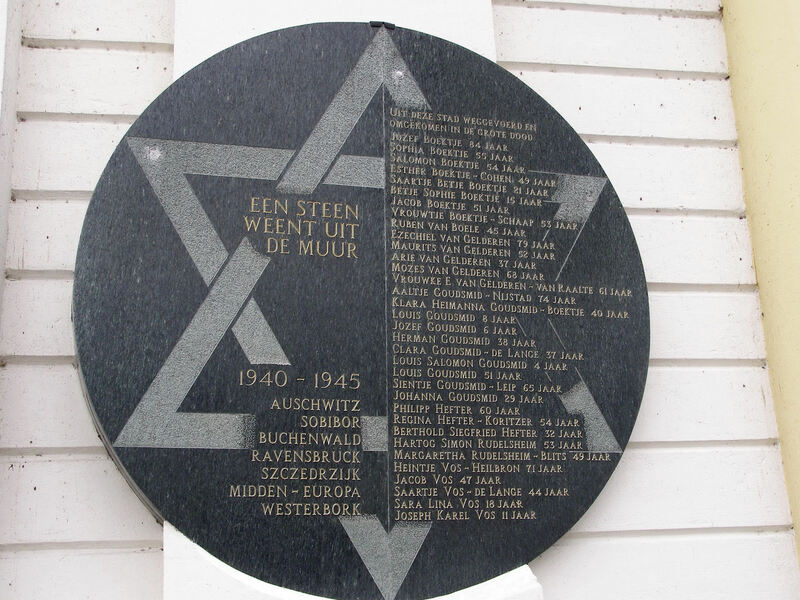 The unfortunate people were transported to Westerbork camp in Holland, and from there to death camps. 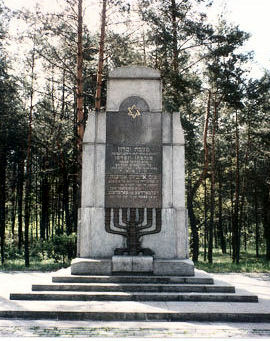 In 1962 this site was designated as a war memorial, in remembrance of the Jews who perished under the Nazi regime. The theatre auditorium has been replaced by an open courtyard with an obelisk where the theatre stage once stood. The entrance hall leads into a memorial chapel where an eternal flame burns. 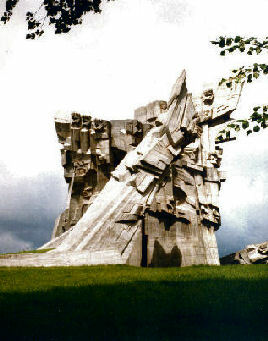 Engraved on the Wall of Remembrance you can read the names of more than 100,000 victims who never returned. 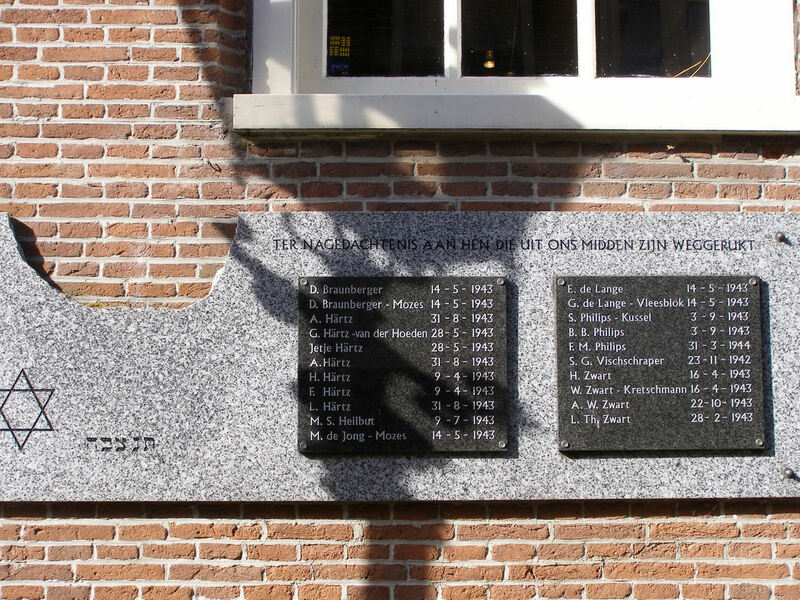 A memorial on the wall of a former synagogue, to those from the town of Harderwyk who perished in the Holocaust. 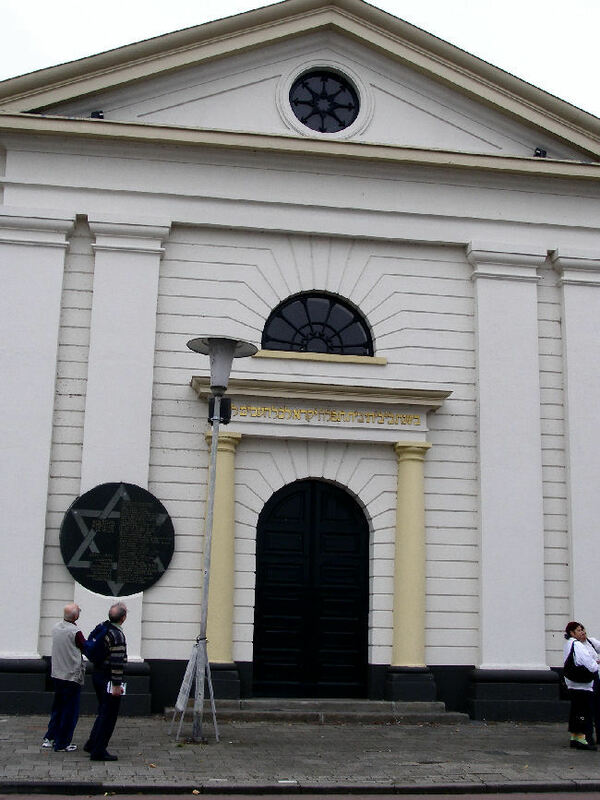 A memorial plaque exists today on the front facade of the synagogue in Kampen, a memorial to the Jewish citizens (named on the plaque, along with their age at the date of their death) who perished in the concentration camps of Auschwitz, Sobibor, Buchenwald, Ravensbruck, Szczedrzjik, Midden-Europa and Westerbork between 1940 and 1945.